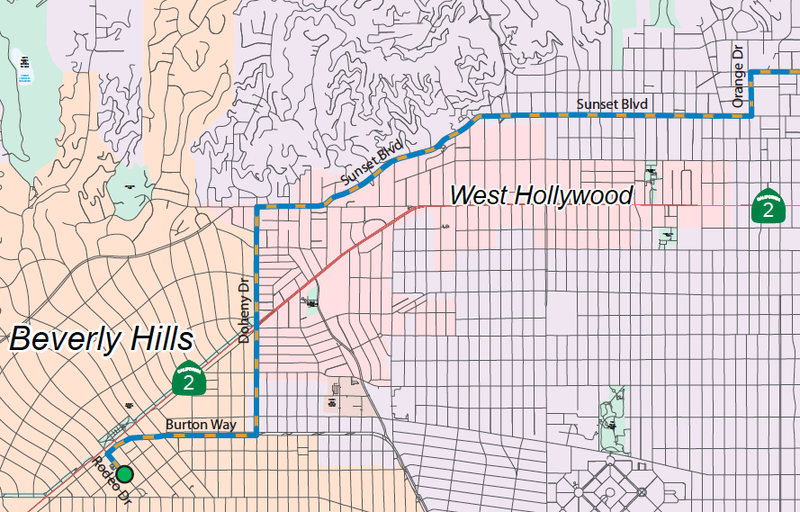 The 2012 Amgen Tour de California bicycle race will roll through West Hollywood on the morning of Sunday, May 20, 2012 at approximately 10 a.m.
Can Bike Activist Box Unseat LaBonge in LA Council Race? Is Debarking Ban Coming for California? The race features seven of the world’s top 10 cycling teams, many of which will compete in the Tour de France in July. The cyclists will move through West Hollywood, and there will be rolling traffic closures throughout the City that may impact residents. The race will commence at Rodeo Drive and Santa Monica Boulevard at 10:10 a.m. The race will proceed north up Doheny Drive and then to Sunset Boulevard then travel east on Sunset Boulevard and out of West Hollywood by approximately 10:18 a.m. The race will conclude at L.A. Live in downtown Los Angeles. Approximately 128 riders and 90 team support and media vehicles will move through the area and there will be rolling street closures during this time. The race on Sunday is the final leg of the eight-day, 750-mile race, which kicked off on Sunday, May 13, 2012 in Santa Rosa, California. Residents can watch the race on television. The final stage of the 2012 Amgen Tour de California bicycle race will be televised on NBC Channel 4 beginning at 10 a.m.
For more information, go to www.amgentourofcalifornia.com or www.weho.org, or call (323) 848-6307. For the deaf and hard of hearing, please call (323) 848-6496.